We organize transportation by bus from OSTRAVA to Hotel KAM in Malenovice. Point of departure is the parking in front of the building EA in campus of VSB – Technical university of Ostrava. 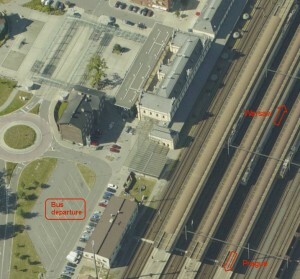 The first bus stop is the Railway station Ostrava – Svinov and the further bus stop is the venue of conference. We can recommend and provide a support for participants travelling by plane to the Katowice, Prague, Krakow and Vienna airports. KTTO 2017 | Copyright © 2019 VŠB-TU Ostrava. All Rights Reserved.